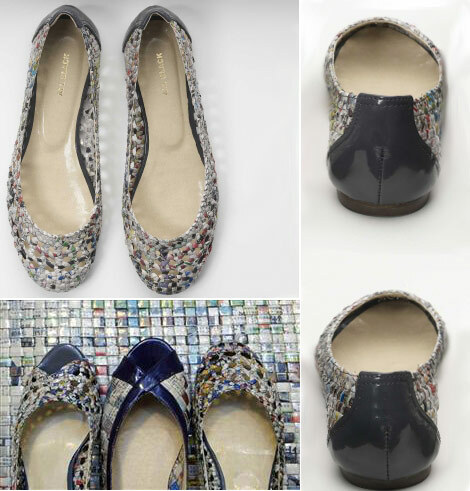 Dare To Wear The Newspaper Recycled Shoes By Colin Lin? 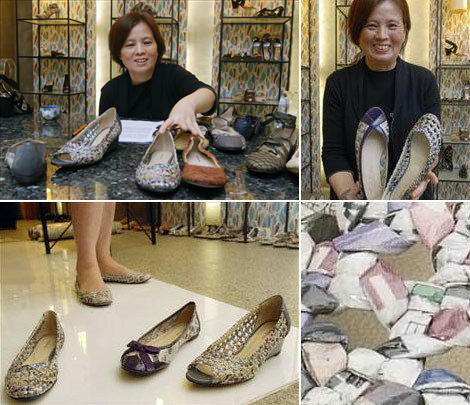 Already a big thing in Asia, Colin Lin’s newspaper recycled ballet flats come to you as the green alternative to the regular Christmas Shopping list! 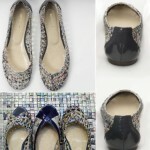 Her flats look lovely and they have such a great conscience! Colin Lin’s newspaper shoes take 3-4 hours to make (each) and retails for $100-150. She also does bags, from the same material, selling for appx $260 (the bags take 2-3 days to complete). Taking out the usual chemicals involved in the shoemaking process, Colin Lin’s shoes have a cotton lining in the back and also a plastic coating for the shiny looks. what a very good idea!! Brilliant idea. 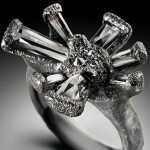 There can so much be done with recycling. Belgian wheather is the same as Dutch wheather it’s sooooo cold now I almost were my inside doors UGG’s outside….brrrr…. As for Louboutin, this shoes are far more friendly for our feet though I’m not a real fan of flats. Totally love the idea but in such humid place like Thailand, it wouldn’t be so great to wear. Im allergic to newspaper but if i werent they’re definetly cute!! !I would wear them! 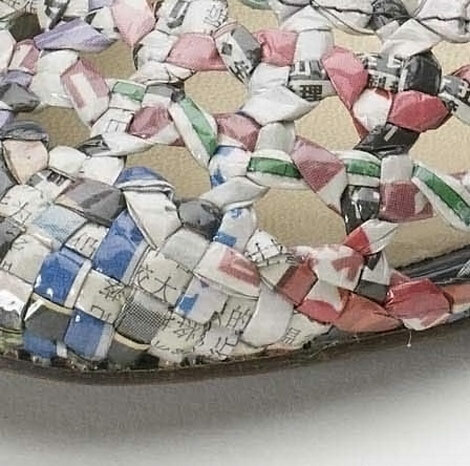 Hi, how do I get those newspaper shoe? So, you are not selling the newspaper shoe? Do you know how to get them? Oh, no, we’re not an e-store. As far as Colin Lin’s shoes go, they were available via shop.moxsie.com . Sadly, not anymore it seems. 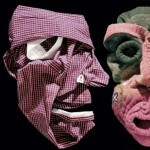 I’ve searched high and low on the internet, it’s like she vanished! However, I suggest you write to the good people at moxsie, asking them when and how you can get a hold of Colin Lin’s shoes!